For the most part new arrivals in Edmonton lived in homes as we recognize them today: houses, apartments, lodging houses, and hotels. 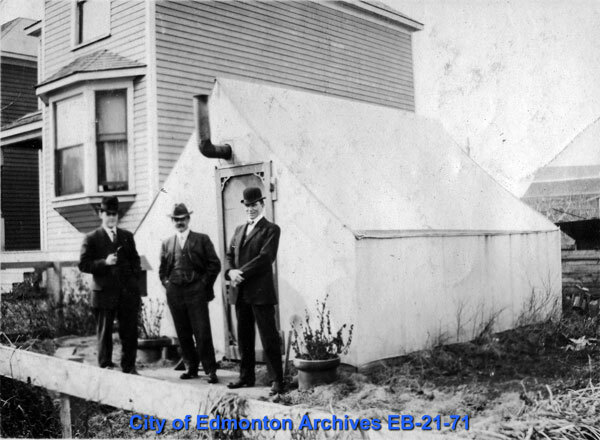 But by the early 1900s Edmonton was growing very quickly, and high housing costs and low availability forced many people to find different ways to live. 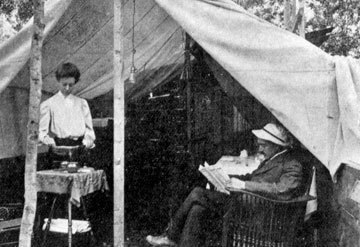 By 1907 a survey conducted by the Edmonton Bulletin showed that there were 1,098 tents in Edmonton, sheltering 3,294 people. Considering Edmonton's population in 1906 was just over 14,000, this was a staggering number. Tents were an obvious choice for many people. They were cheaper than houses, and could be purchased pre-sewn, or one could simply buy the canvas and have it stitched together on a sewing machine. 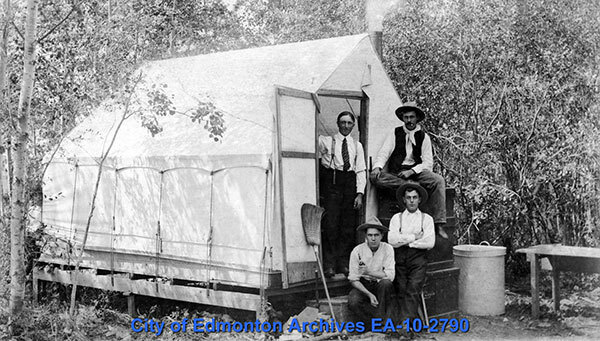 Tent communities developed all over Edmonton, including in Fraser Flat (Riverdale), Galagher Flat (Cloverdale), past the Canadian Pacific Railway tracks (109 Street) in the west end (Oliver), behind the Dreamland Theatre on Jasper Avenue, and east of 95 Street near the Canadian Northern Railway tracks (between 104 and 105 Avenues). "Our tent wasn't cold once. We even had a piano in it, and every Sunday night after church we would bring our friends home, and we would sing, and have a great old time – right in the middle of winter." 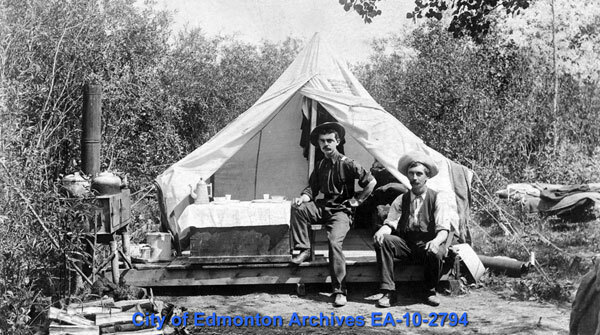 "Tent life in Edmonton is most enjoyable. To sleep amid the trees during the cool Albertan evenings is a pleasure that is not afforded to the dweller in the Eastern city. And in the early morning hours one is awaked [sic] from peaceful slumber by the birds, ready for the day's work, refreshed by the sleep amid the ideal conditions of outdoor life… Many prefer to remove to tents during summer rather than live in the more confined limits of their dwellings. As a result, numbers of the best families of Edmonton are now tenting, while their homes are closed for the summer months." If you think this description seems too good to be true, you may be correct. In the early 1900s boosterism was rampant in Alberta. Boosters aggressively promoted their communities, often exaggerating the benefits, in an attempt to lure even more newcomers to the area. 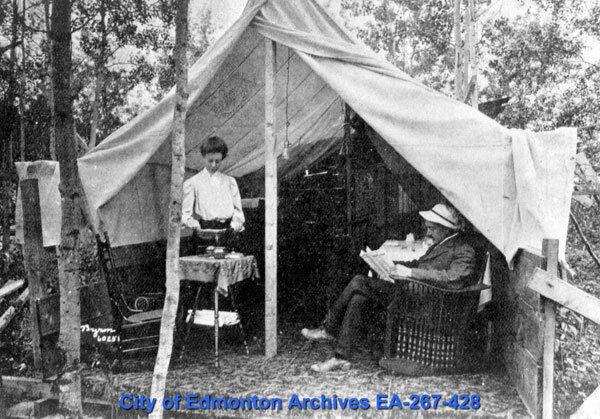 Reacting to the growing number of tent dwellers in the City, and possibly to the attention paid to the issue by the Edmonton Bulletin, Council passed Bylaw 121, stipulating that people could live in tents, but only if they applied for a licence and paid a $1 fee. These tents would then be known by health officials and would have to conform to the local health code. 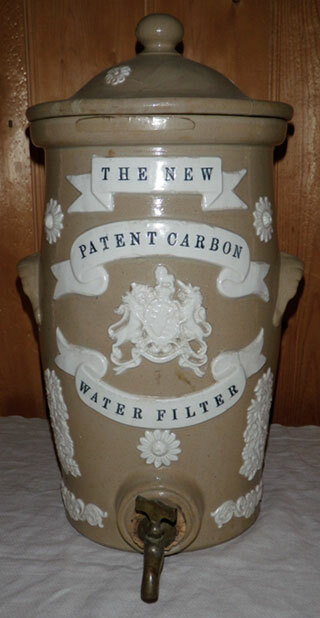 The bylaw also aimed to improve sanitary conditions and lessen the danger of diseases such as typhoid. Tenters who failed to comply with the bylaw faced fines of between 2 to 5 dollars. In 1912 the Edmonton Bulletin published another survey, this time only counting 2,671 tenters in the City. Though progress had been made the issue had not been solved, as the City would become painfully aware during the Depression. Fire insurance plans like this were created by insurance companies to gauge the risk of fire to property, and are an invaluable resource for local historians. This page from 1913 shows the location of some tents and shacks north of 105 Avenue. This article was published in the Edmonton Bulletin on July 20, 1907. 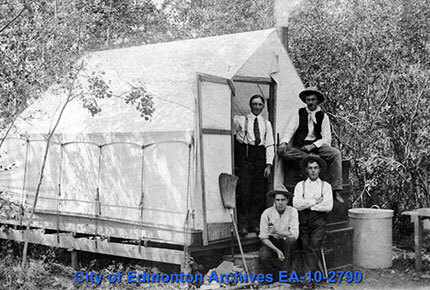 It outlines the lifestyle of the Edmontonians living in tents that year. If the outlook seems a little too rosy, readers should remember that boosterism in Edmonton at that time was rampant, as people already living in Edmonton had a lot to gain to draw even more people to the city. This bylaw amended the Public Health Bylaw to create rules around living in tents or other "temporary" shelters (original is with Bylaw 195 1900). In 2010, Edmonton’s homeless population was 2,421. In 2007, a few hundred people set up tents and occupied a vacant lot on 105 Avenue between 96 and 97 Streets. The camp was closed by order of the Provincial Government after less than 6 months.